Gas sensors detects various atmospheric gases, toxic and nontoxic gases. The chemical content of the gas is also part of the detection process and hence are also known as chemical sensors. Different type of technologies are used to analyze the gas content. All such sensors are also known as gas detectors and hence the terms are used interchangeably and should not be confused with. Various gas sensors are CO2 sensor, CO sensor, O2 sensor, Hydrogen sensor, Methane (CH4) sensor, LPG (Liquid Petroleum Gas) sensor, Gas leakage sensor, Nitrogen Dioxide (NO2), Hydrogen Sulfide (H2S), Ammonia, Sulfur Dioxide (SO2), Ozone (O3) sensor, Natural Gas (CNG) sensor, Argon detector etc. Different models of portable and fixed type of gas detectors are available for different purposes. Portable sensors are used for industrial and hazardous environments where individuals need to carry them and check the gas levels before entering confined areas, hazardous areas etc. The portable ones are also known as gas detection meters. One of the most common type of gas sensor is Carbon monoxide detector (CO detector) is used to check the level of carbon monoxide in the atmosphere in general environment or industrial environments. These are also known to their shortened form as CO sensor, representing carbon monoxide. Carbon monoxide is produced in common equipment such as motor vehicles, generators etc. and is harmful for human beings if inhaled above the permitted levels. Hence it is essential that the occupants of the area need to be alerted as soon as the level of carbon monoxide goes high. The carbon monoxide sensor is available with alarms as a combined unit. The carbon monoxide detector continuously checks the level of CO in the environment and the signals can then be used on a display screen and for continuous data logging purpose etc. Carbon Monoxide (CO) sensor alarms are sensors combined with audio visual alarms which will generate an alarm if the detected level exceeds the permitted levels. Also there are NO/NC contacts which can be connected to external alarms and automation systems. Carbon monoxide detectors are especially used in underground parking systems. Oxygen sensors are also used to check quality of oxygen in combustion engines such as automotive, generators etc. where quality of intake air is instrumental for efficient combustion cycle. Also the oxygen quality of exhaust of these equipment need to be monitored to limit air pollution. Another common gas sensor is Carbon dioxide sensor which is known by its chemical shortened name as CO2 sensor. Obviously the carbon dioxide sensor detects level of CO2 in the environment. All the sensors including CO2 sensors are capable of producing analog and digital signals for display, control, automation etc. through attest automation systems. A single instrument with a combination of above three type of sensors viz. Carbon Monoxide sensor, Oxygen sensor and Carbon dioxide sensor is known as air quality monitor. 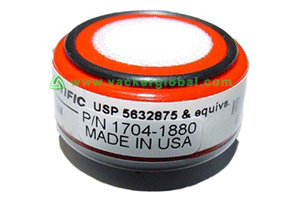 Toxic sensor is a wide category covering all sensors used to measure toxic gases. Various examples of toxic sensors are Methane (CH4) sensor, Nitrogen Dioxide (NO2), Hydrogen Sulfide (H2S), Ammonia, Sulfur Dioxide (SO2) etc. 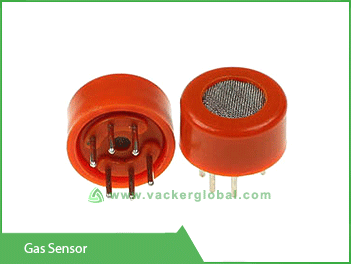 MQ sensor is a technology used for sensing gases. There are multiple series of sensors available such as MQ-2,MQ-3, MQ-4 etc. The operating principle is that the output current and resistance varies depending on the detected gas. Thus measurement of the output current gives an exact indication of the measured gas.